The Cambridge Commonwealth, European & International Trust has established an initial fund of £0.5 million for a new programme to support students who face severe barriers in coming to Cambridge. This was announced by the Vice-Chancellor, Professor Stephen Toope, in his annual address to the Congregation of the Regent House in the Senate House on 1 October, 2018. Named for the former Chairman of the Trust’s Board of Trustees, the Rowan Williams Cambridge Studentship is a full-cost award available to eligible undergraduate and postgraduate students, covering tuition fees and maintenance. It will, in some instances, also assist with students’ upfront expenses such as travel and visa costs. Each year, the Cambridge Trust is asked to consider applications for funding from students who face especially severe challenges in coming to Cambridge; in recent years, particularly those students who have been affected by the conflict in Syria. For the academic year 2018-19, the Trust has offered five studentships to students from Syria, including to Abdullah Kattineh, who will in October embark upon an undergraduate degree in Natural Sciences at Corpus Christi College, and two studentships to students from Palestine. All these students have faced significant challenges in continuing their education, with two of them having been formally recognised as refugees. Such individuals were the inspiration for the Trust establishing a fund to help similar applicants realise their dream of continuing their education at the University of Cambridge. 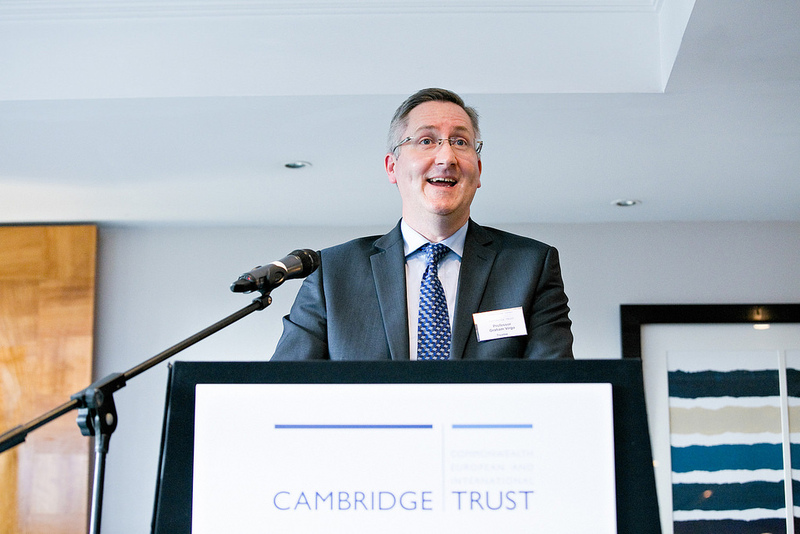 Speaking about the new programme, Helen Pennant, Director of the Cambridge Trust, commented “It gives me great pleasure that the Trust is able to support these students who have so many challenges in coming to Cambridge to undertake their further education”. Professor Graham Virgo, Senior Pro-Vice-Chancellor (Education), is delighted that this programme has been established and said “the Rowan Williams Cambridge Studentships will play a crucial role in ensuring that exceptional students from areas of instability or conflict and whose education has been disrupted will be able to come to the University of Cambridge”. Dr. Rowan Williams spoke of his views on the introduction of such an essential scheme for Cambridge and its potential impact on those who would otherwise find it difficult to carry out their studies at the University. Eligible applicants will need to hold a conditional offer of admission to the University of Cambridge, be from an area of instability or zone of conflict and be, or have been, at risk of discrimination, persecution, suffering violence or other abuse of their human rights. Applicants need not have Refugee status. For more information, including details of how to apply, read more here. Those wishing to donate to the fund should contact the Trust’s Director in the first instance.